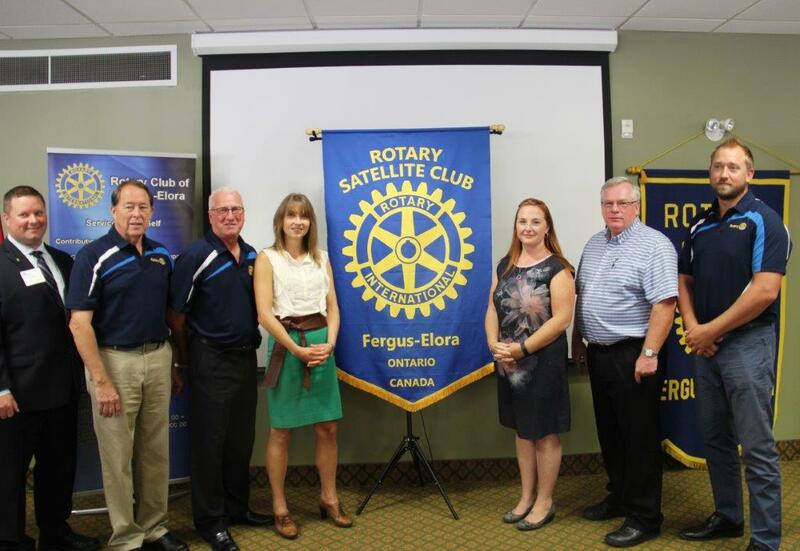 On Sep 13, 2016, 6 new members were inducted into The Rotary Club-of Fergus-Elora. These 6 new members will meet at our satellite club that meets in the evening, The inaugural meeting of The Rotary Satellite Club of Fergus-Elora Evening will take place on Sep 28 . Jim Waites (left), Club President, is pictured with the six new members that are from left to right Don Vallery, Dave Roberts, Angela Tamblyn, Claire Warren, Carl MacArthur, Rob Murray. A big welcome to these new members.